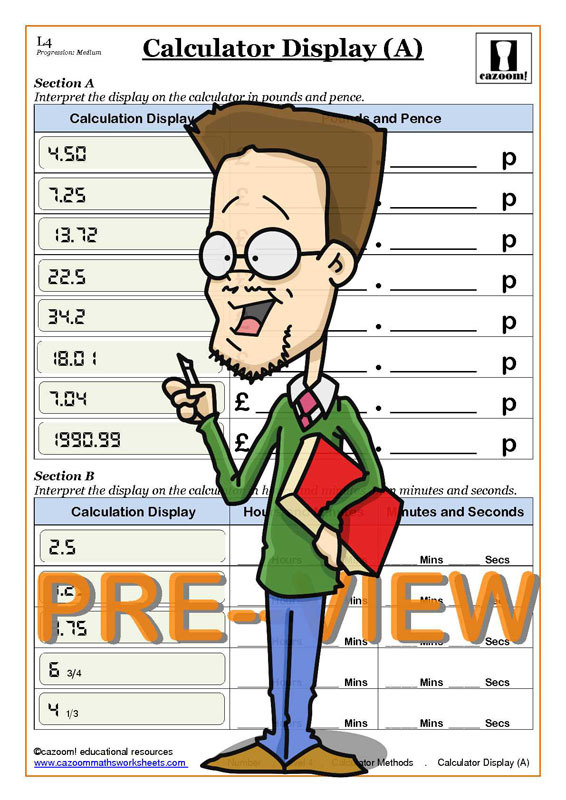 Being able to use a calculator properly will help KS3 and KS4 students answer complicated questions more easily. Our worksheets are clearly presented and easy to understand, breaking down calculator methods into stages to make sure students have mastered the basics before progressing to more advanced calculator questions. 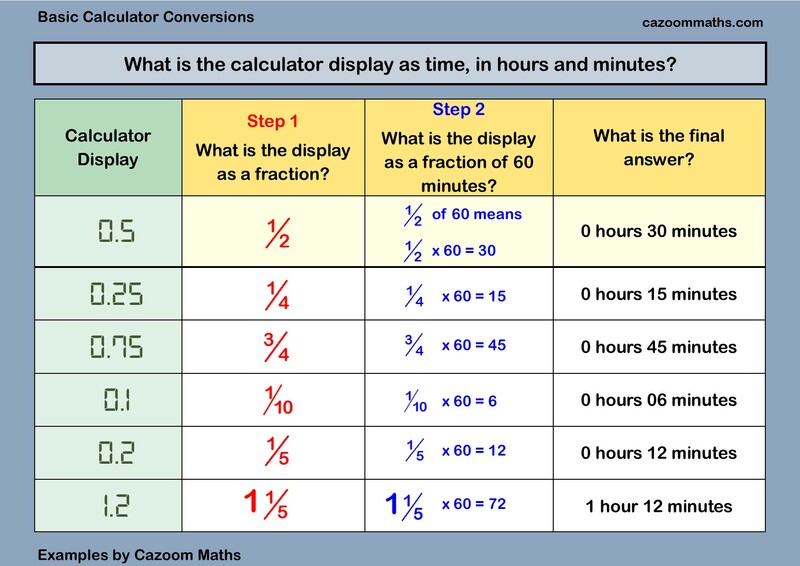 Use Cazoom Maths to boost students’ confidence at using a calculator and answering calculator questions. Using a calculator to answer a maths question isn’t taking a shortcut. There are some calculations which even the most skilled mathematician cannot answer in their head. Calculators can make solving complex sums faster, but it is important to learn to use a calculator correctly otherwise it is easy to make mistakes. Calculators have several different functions, and they are programmed to treat certain signs as a priority, so it is not as simple as inputting 2 + 10 x 3 + 0.25 and getting the right answer. If this sum was entered into a calculator, the calculator would calculate 10 x 3 first, and the addition second. This might not be the correct answer, so it is important to be very clear with the way numbers and functions are inputted into a calculator. Becoming familiar with a calculator at a young age is important, as when more complex calculator functions such as exponents and roots are introduced at later stages of students’ maths education, they will already be confident on how to use a calculator correctly. 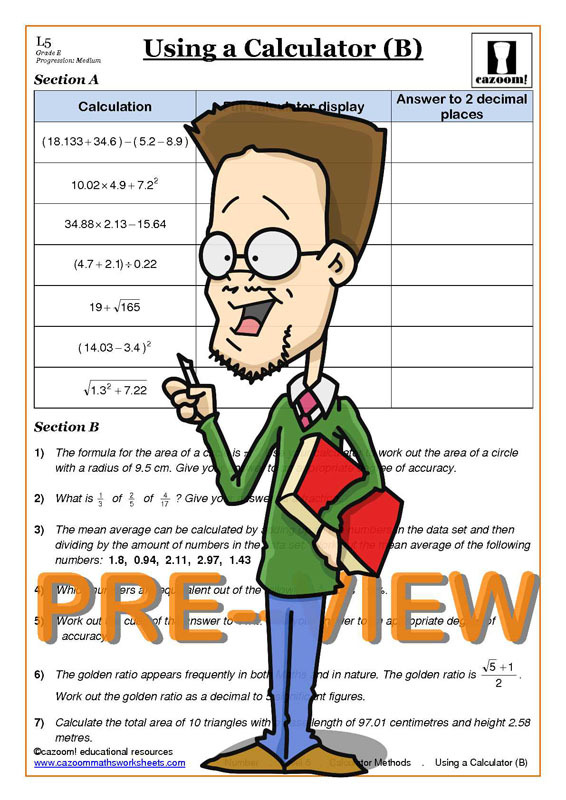 The best way to learn how to use a calculator correctly is through worksheets and fun activities for practice. Worded calculator problems also show students how to convert the answer on their calculator screen into a monetary value or a time, which is a very useful skill to know.